“I was too rebellious for the industry,” CoCo O’Connor admits of her years spent in Nashville, a period when the blossoming songwriter felt that she didn’t fit into the stubborn confines of the city’s legendary music scene. So she headed out West, to a region where free spirit and eccentricity reigned. But though the mysterious nature of Santa Fe, New Mexico continues to aid CoCo in her songwriting and self-reflection, it wasn’t the right place to record an album. 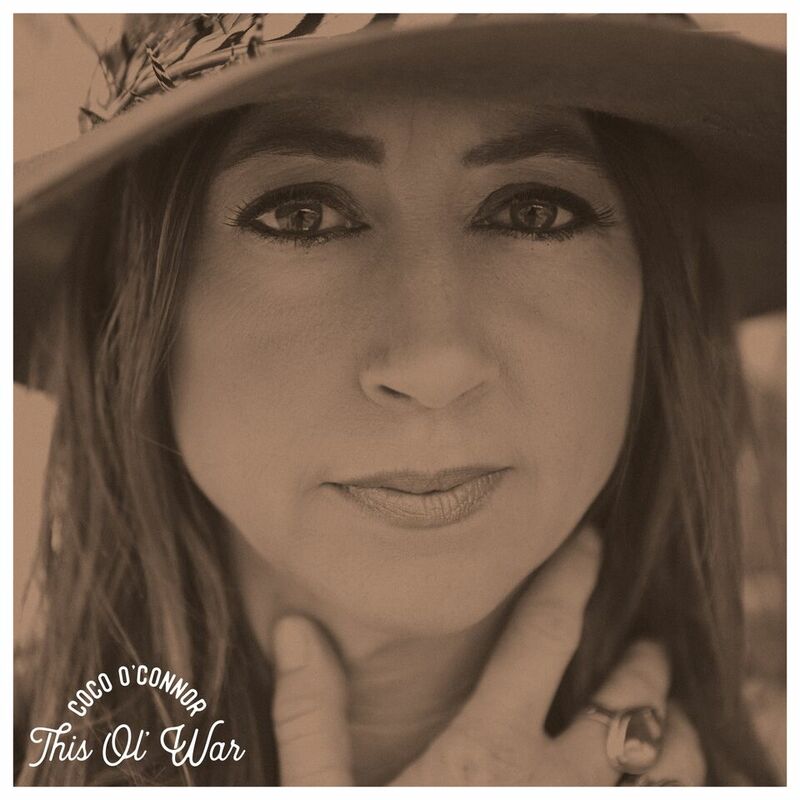 For both her debut record and her upcoming June 8 release, This Ol’ War, CoCo had to rediscover her roots, heading back to the energized hum of Music City. Along with producer Parker Cason, CoCo went against the grain of Nashville to let the songs of This Ol’ War breathe over the course of five months. Of their time together, Parker expressed, “CoCo graciously gave me a lot of freedom and creative input on this record. It’s nice being able make an independent record away from the noise of Music Row where we can focus more on being creative instead of hitting hard deadlines." Both unconventional in the ways in which they approach modern songwriting, CoCo and Parker forged a bond that could only come from a mutual awareness of each other as music industry outsiders. On the original yellow shag carpet of the Creative Workshop, which has seen the likes of prolific songwriters such as Jimmy Buffett and Parker’s father, Buzz Cason, CoCo and Parker created a record that mimics the careful, smooth-like-honey process of country and blues long past. CoCo’s unwavering sense of self stems, in part, from her time experimenting with songwriting as a child. Growing up just forty-five minutes outside of Muscle Shoals, Alabama, and between preparing for beauty pageants, CoCo’s mother gently reminded her daughter, “You know, Honey, you need to learn how to write songs like Dolly.” And though the young songwriter hated the sticky pageant makeup and only knew how to write songs about God, her mother’s sentiment remained lodged tight in her mind. CoCo’s creative method might stand out as an outlier in the fast-paced, bustling world of Nashville’s music empire, but she discovered a “psychic” producer who innately understands what her songs need in an almost supernatural way. Though CoCo refuses to fit the sharp songwriter outlines that rule in both Santa Fe and Nashville, she brings pieces of both cultures back-and-forth to each town, creating a vision that’s wholly her own. For now, CoCo’s got the mountains and she’s got the big sky above.